Charlie Clips from MTV’s Wild n Out teams up with Taranchyla, epic sound killer. 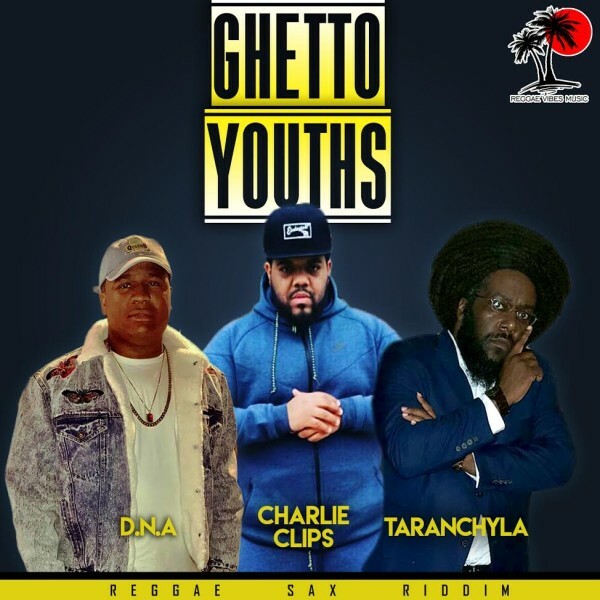 “Ghetto Youths” a song penned by three lyrical geniuses in the form of Charlie Clips, DNA & Taranchyla is destined to resonate well especially with people fighting the struggles in the inner-cities. Charlie Clips, arguably one of the best battle rappers of all time has been making waves on MTV’s (Nick Cannon) Wild n Out and recent features on Hot 97 & BET. The other rapper, DNA is widely known for his trademark freestyle abilities which gives him a certain prestige in rap circles. Apart from being an accomplished Grammy winning song writer and producer, Taranchyla (Madd Spider) who needs no introduction in dancehall circles has also gained notoriety for his deadly dubplate customs which gets the job done at sound clashes. The song highlights the socioeconomic burden that comes with living in the ghetto; young girls becoming strippers, youths getting arrested – but further points out that there is a way out of the system by believing in the Almighty and embracing self-realization. Ghetto Youths, Hip hop meets Reggae in fine style.